Terrazzo! This playful, funky and often times colorful surface is having its moment and I am here for it! I think this trend really hit me again hard after seeing Mandy Moore's home done by designer Sarah Sherman Samuels last year. 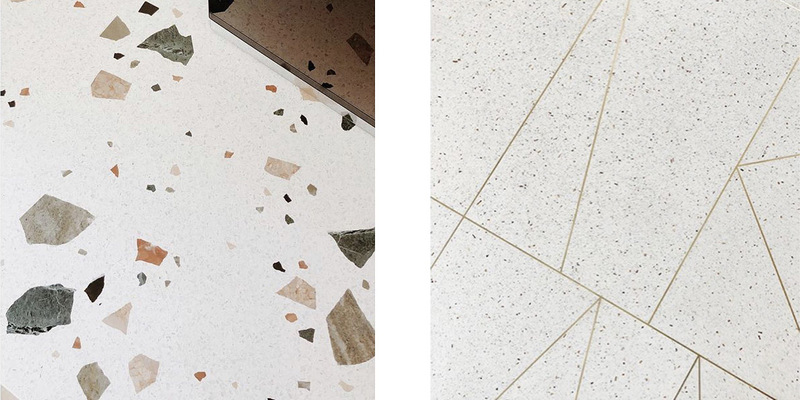 She used this material in her 50's mid-mod home remodel in Pasadena with mixed metals, concrete, marble, brick, velvet and glass and I was instantly in love with Terrazzo and its versatility all over again. 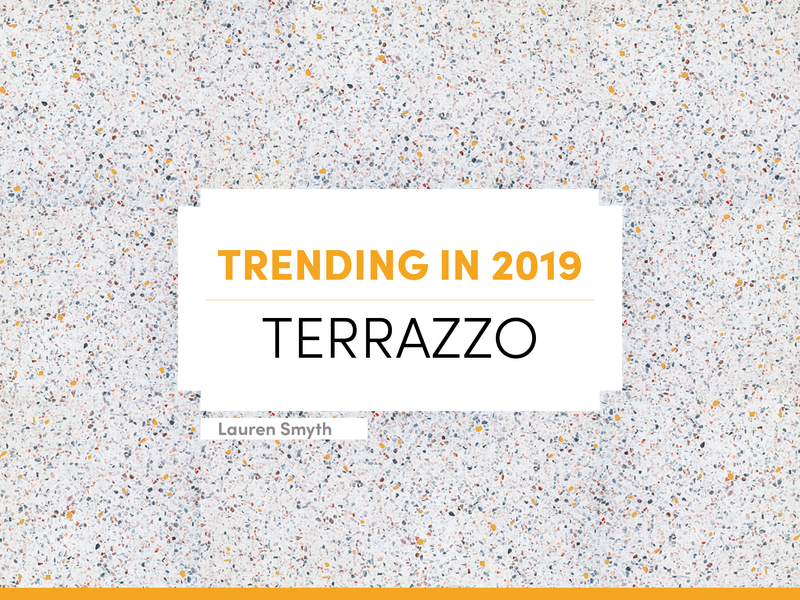 Dating back about 500 years, Terrazzo was started by Italian workers using leftover pieces from marble yards and mixing them with clay around their home's terraces (giving it the name) and flattening the uneven, random stones to lay flat and create a mostly seamless floor. The look: a piece-y, modern surface that can come in a multitude of colors or styles and best of all, earth friendly!